Here are a couple of oddly sized printed publications and other products that caught my eye. Some of these were specifically created for the Guinness Word Records book, others appeal to everyone’s interest in over- or undersized or unique objects. Below is the world’s biggest ever magazine, created by marketing agency The River Group and printing company Polestar. This issue of Healthy magazine measures 3.05 by 2.35 meter. There are many small dictionaries but this is the cutest one: printed by David Bryce & Son around 1893 this miniature Pears English Dictionary comes with a metal carrier that has a built-in magnifier. 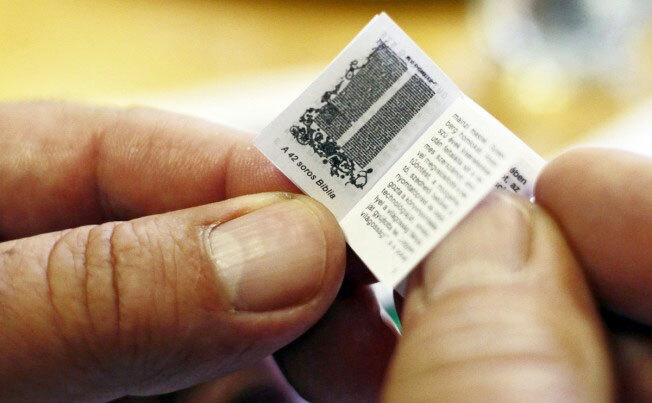 As you can imagine Bibles are the most popular when it comes to small prints. The example below is the Biblia or ‘a Practical Summary of ye Old & New Testaments’, printed in London in 1727. This 4 by 3-centimeter shortened version of the Bible is bound in leather with reliefs. 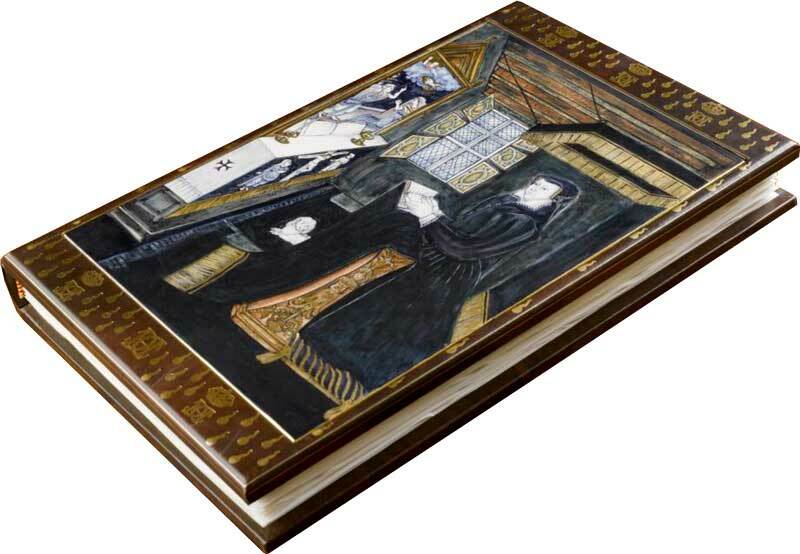 It contains 284 pages with 14 wood engravings. Depending on demand and the state of the Bible these can fetch from 1200 to 2400 dollar at an auction. 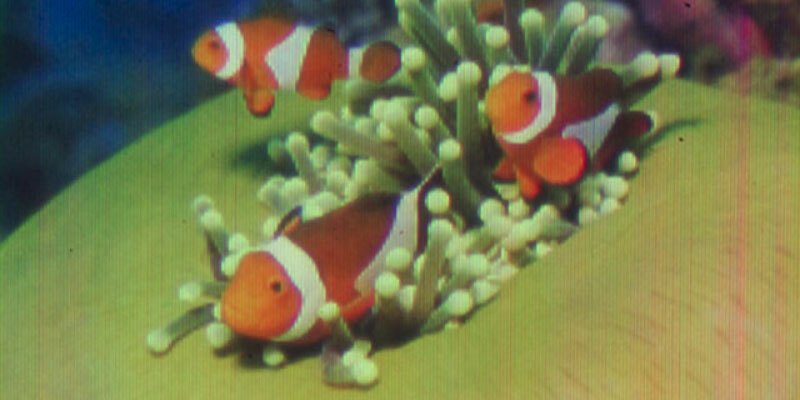 The image below is the world’s smallest inkjet print, measuring just 80×115 micrometers, or about 0.0092 square millimeters. That is roughly equivalent to the cross-section of a strand of human hair. The photo was made by researchers at ETH Zurich and a project spin-off start-up company called Scrona. It uses a technology called 3D NanoDrip. 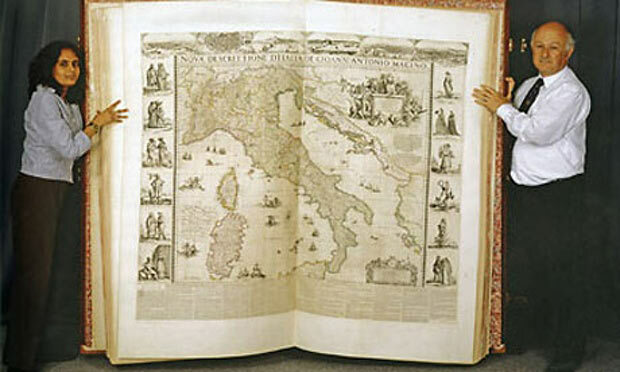 Moving back to big publications: for over 350 years the Klencke Atlas was the world’s biggest atlas, measuring 1.78 by 1.05 meters. The British Library owns this 350-year-old book. The Earth Platinum atlas took over that reign in 2012. 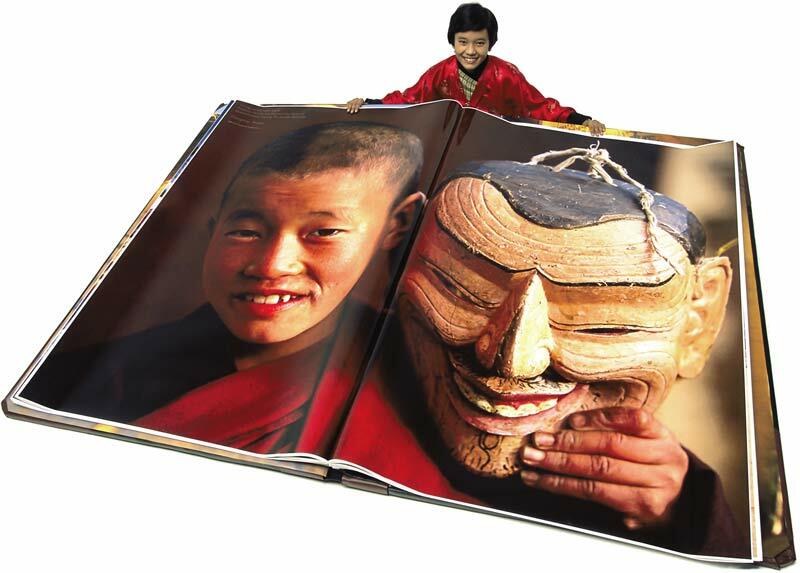 It contains 128 pages, weighs 150 kilograms and measures 1.8 by 1.4 meters (6 ft × 4.5 ft). Earth Platinum is priced at $ 100,000. Another recent big geography-related book is ‘Bhutan: A Visual Odyssey Across the Himalayan Kingdom’. 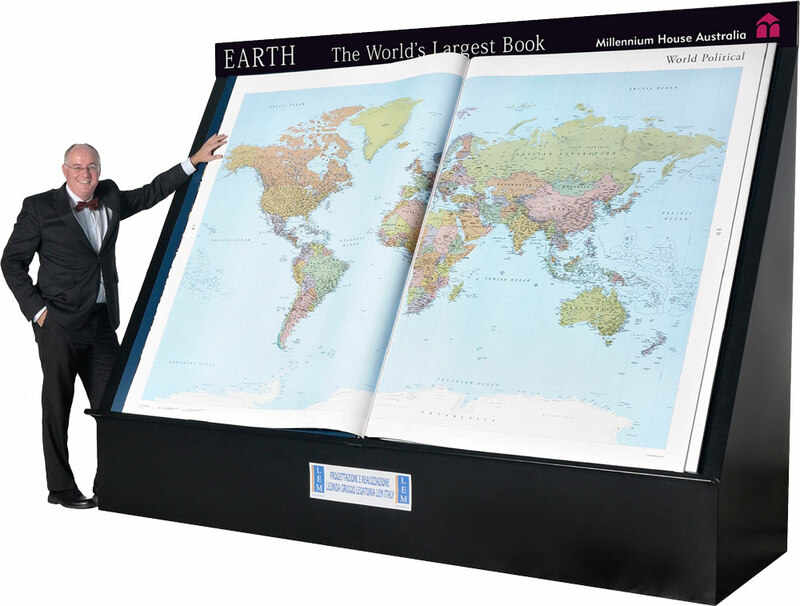 According to the Guinness World Record book, it is the largest commercial book ever published. Something completely different are cat houses built from cardboard. 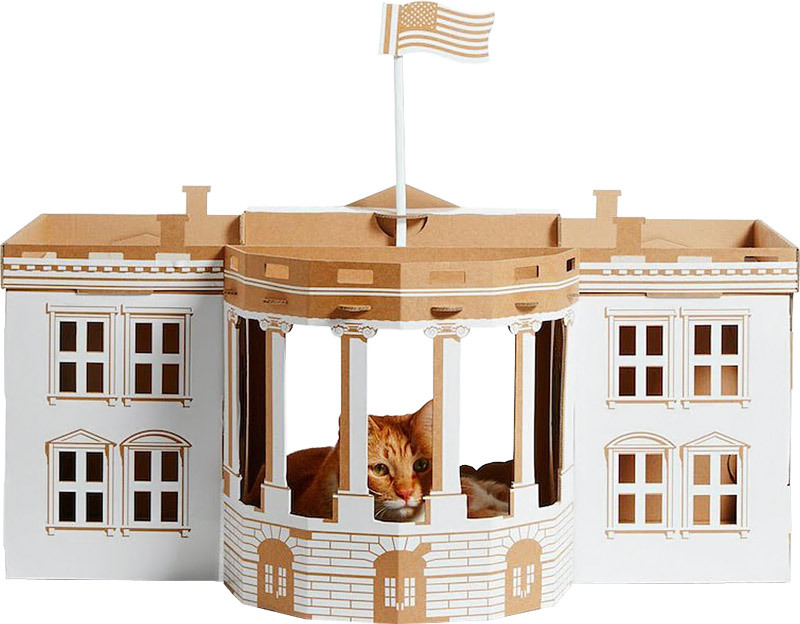 Your cat can sleep in the White House. 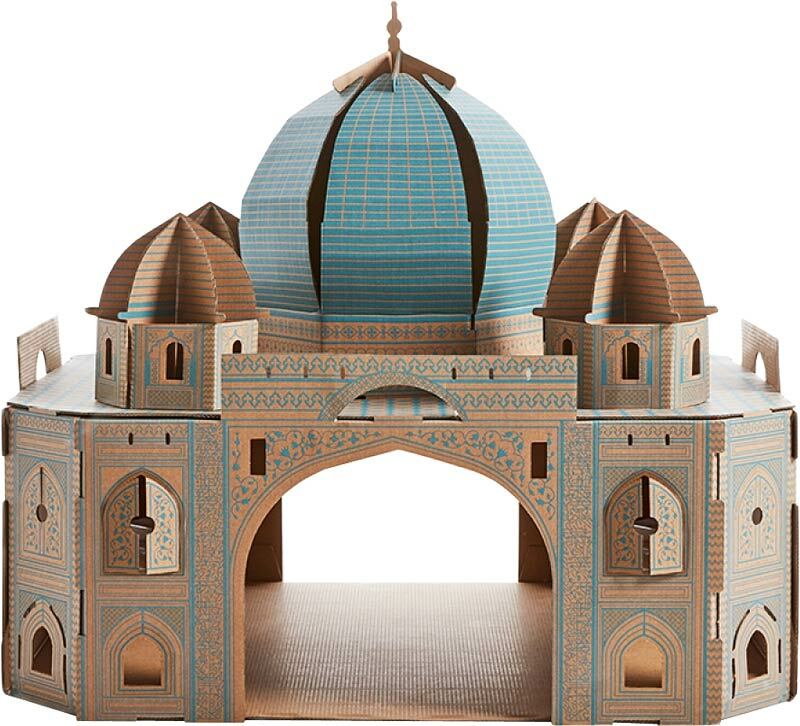 The patterns and folding for the Taj Mahal are a bit more sophisticated. 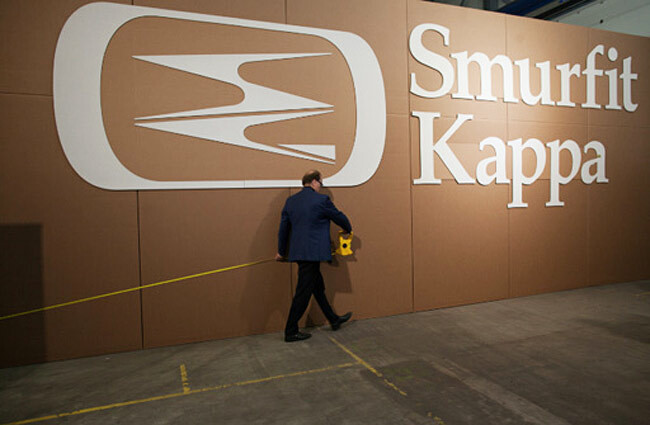 Packaging company Smurfit Kappa used 3000 staples, 100 meters of double-sided tape and over 4000 m² of cardboard for the construction of the world’s largest cardboard box. It measured 40 x 20 x 20 meters and weighed 1400 kg. Moving from small and big to something exclusive: ‘Caterina de’ Medici, Queen and Patron’ is truly a unique book since only a single copy was made which is entirely calligraphed and illuminated by hand. Better pictures of the richly ornamented parchment pages and the exquisite box that the book comes in can be found on the FMR site. The thickest book is the ‘The Complete Miss Marple’, published by HarperCollins in 2009. It is 322 mm (12.67 in) wide and weighs 8.04 kg. 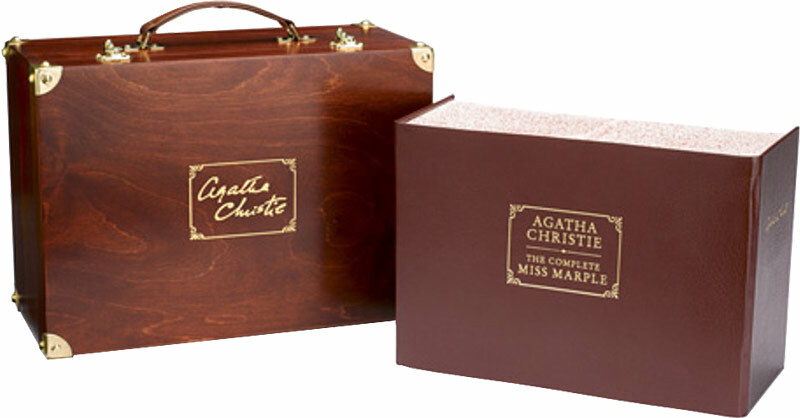 The 4032 pages contain all of Agatha Christie’s Miss Marple stories. Only 500 copies were printed. Money is also a print product, at least for the foreseeable future. 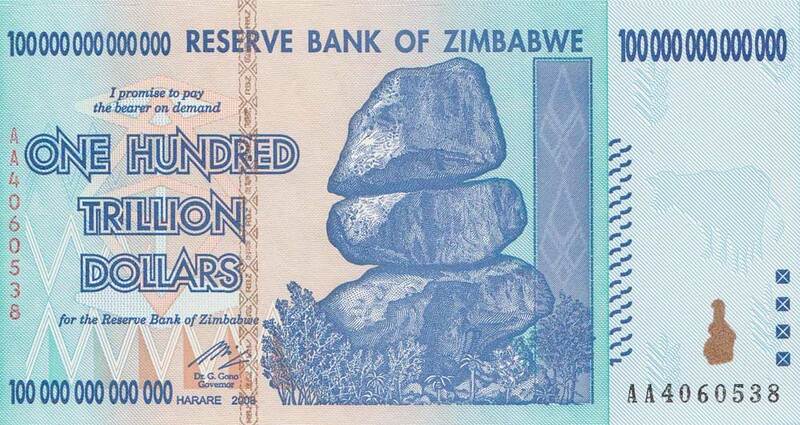 An interesting banknote is this 100 trillion dollar one from Zimbabwe. It shows what happens if inflation gets totally out of control. A poster designed by German artist Heinz Schulz-Neudamm for the 1927 science-fiction movie ‘Metropolis’ is the most expensive poster ever. In 2005 it was sold at auction for $690,000. The 2018 magazine ad below was created by Swedish agency Åkestam Holst in collaboration with Mercene Labs. It encourages women to pee on the page. 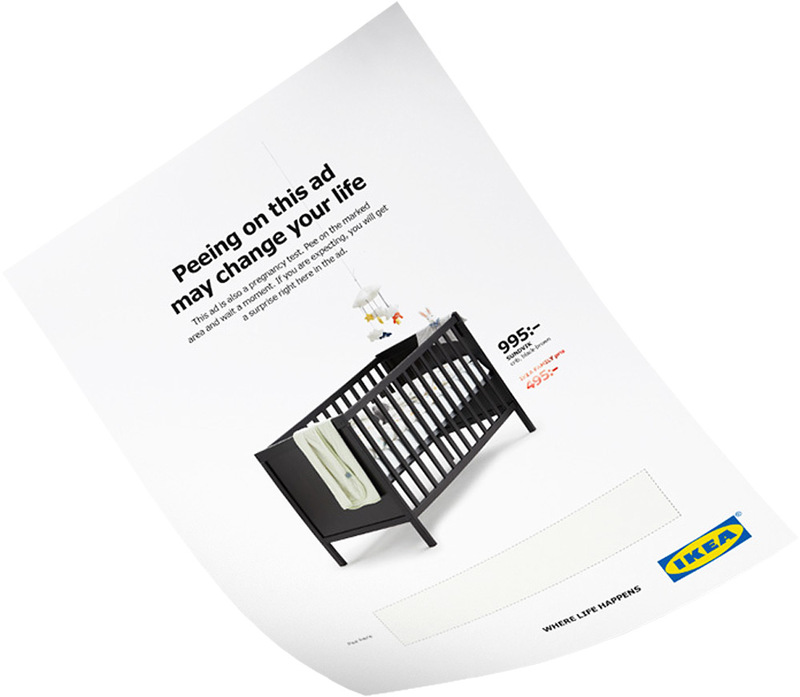 If they are pregnant, a special discounted price on cribs will be revealed. The technology is similar to that in pregnancy-test kits. Good Morning Laurens, I LOVE YOUR WEBSITE! I have a print background from working in the Advertising Industry for many years. This is a great help for Wannabe Students of the craft.